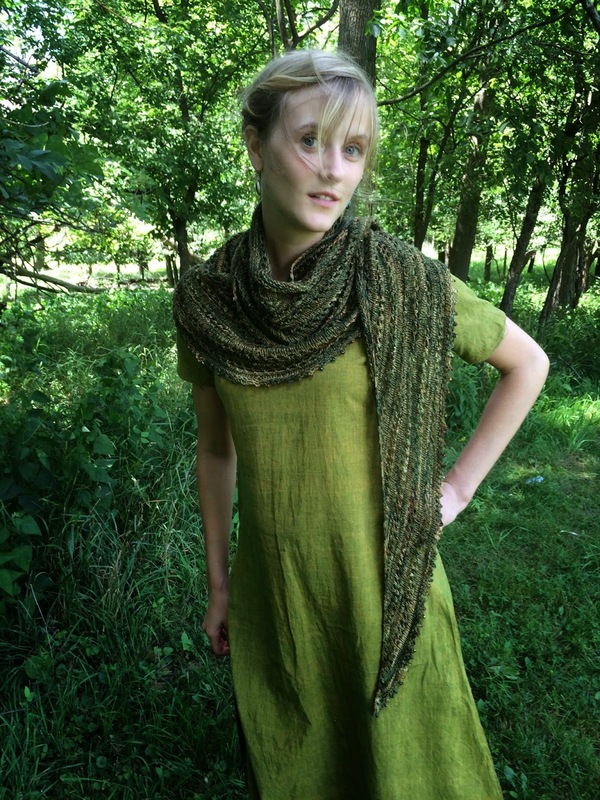 Today I added the Much Ado Shawl to my pattern store, and I'm so happy it's available! The cast-on edge is a beaded picot, which adds a glimmering detail while wearing it. The beads I found are green at some angles, and red at others, making them appear to be either dewdrops or berries. When I came home with them, I rummaged through my stash and found a fantastic skein of Leading Men Fiber Arts Showcase in the colorway Steve and Andy, the names of the yarn's creators, but also the names of my cousin and uncle, who are woodsmen of the most badass degree, and the color makes me think of them! Doug and I went to the forest preserve in Des Plaines, where he was about to play saxophone at a Romanian festival. I stole him away from the goulash for a moment and he took pictures while I frolicked. Or I did my best at frolicking. 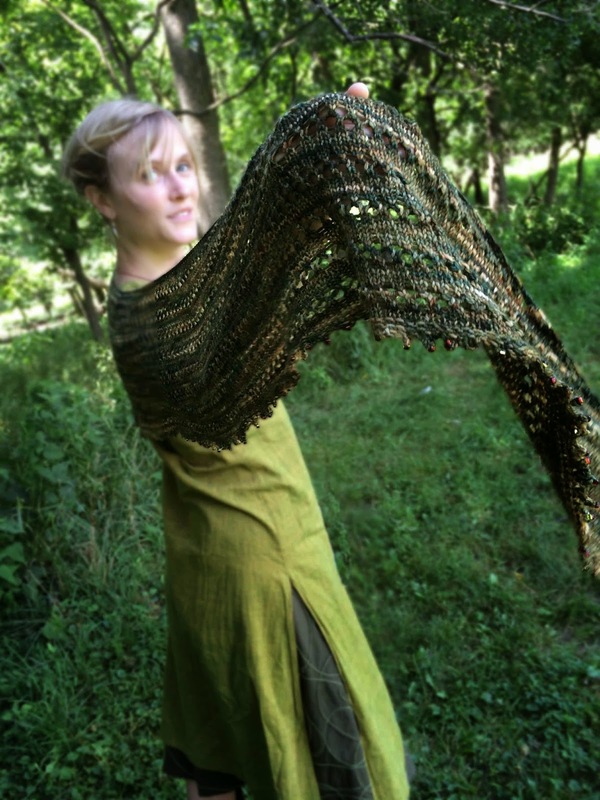 I stood still for him, too, wearing the shawl in a way that was actually practical. It's fantastically soft, and the length means I can wrap it around my neck a few times, creating just as many layers of the beaded edge. I hope you like this shawl! 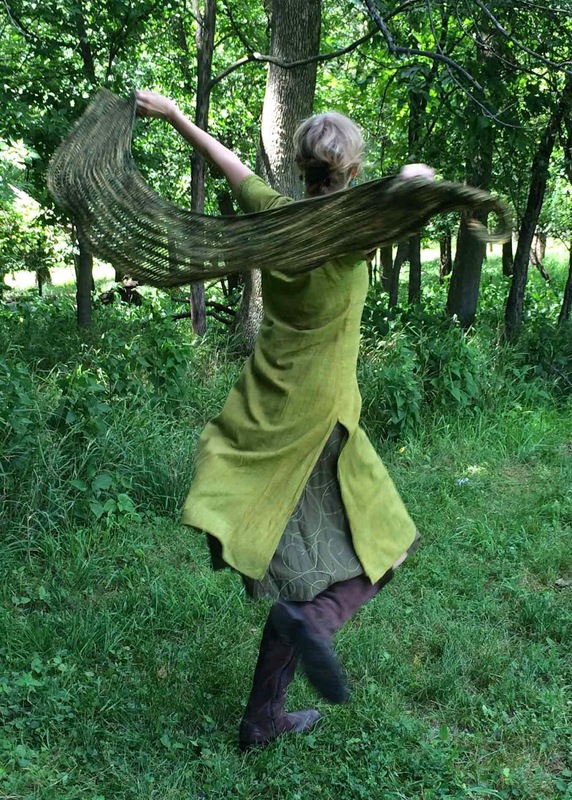 If you do, twirl on over to Ravelry and buy it now!